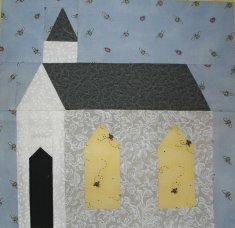 The first thing that I would recommend that you do, is go to the Practice Paper Piecing Page. 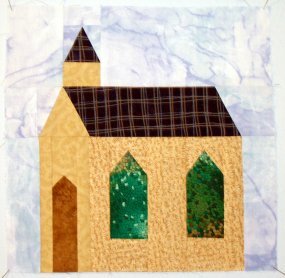 When you feel comfy with paper piecing, come on back and try a Church Block! You will need to print out one copy of each template page per block you want to make on very lightweight paper. A Fat Quarter of each fabric will be plenty! 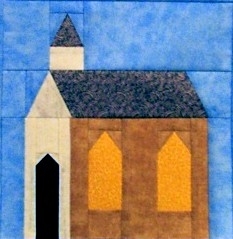 After your units are paper pieced, join them as shown here at left to complete the block! 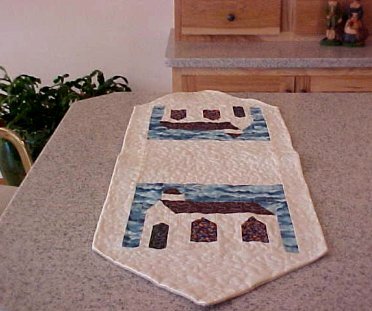 No quilt to show for this one either, as it's best used in perhaps a quilt with a variety of other house/town type blocks! Stay Tuned! 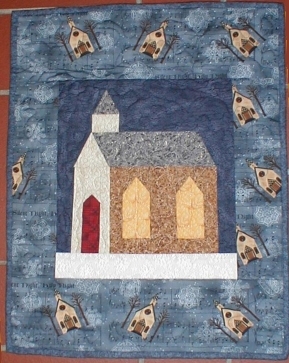 Marcia :o) ...Here's Mary's! Vicki's ! Wenche's! Teresa J's! Kim's!